Nikolas Cruz, the confessed gunman in the Marjory Stoneman Douglas shooting, was assigned to PROMISE for vandalism in 2013, despite district officials' claims that he was never connected to the controversial disciplinary program. However, it's unclear if Cruz ever attended the program. The PROMISE program allows students who commit certain misdemeanors — there's an official list of 13 — at school to avoid getting involved with the criminal justice system. Instead, they attend the alternative school, where they receive counseling and other support. PROMISE has come under scrutiny after 17 people died in the Feb. 14 shooting at Stoneman Douglas, in part because one of the injured survivors is planning a lawsuit that will argue the program led school leaders to demonstrate a lax attitude toward discipline. 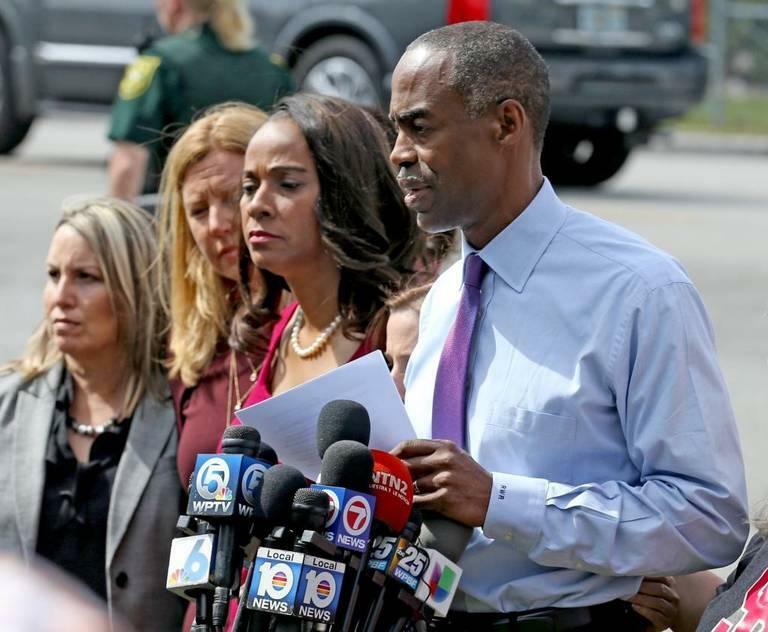 Broward County Superintendent Robert Runcie and members of the school board give a press briefing following the shooting at Stoneman Douglas. In his defense of the program, Runcie has touted its high success rate in preventing recidivism: Nearly nine out of 10 kids who go to PROMISE don’t commit another offense at school that would send them back there. Cruz’s high school discipline records, obtained by WLRN, show he got in trouble for fighting and verbal assault while at Stoneman Douglas — but those infractions didn’t meet the eligibility requirements for PROMISE. In both cases, he was suspended. During the interview last month, Runcie said he couldn’t discuss details of Cruz’s school records because of a federal law that shields student privacy. And he stressed that school discipline procedures are more complicated when it comes to students with disabilities. Administrators are required by federal law to consider whether a student’s misbehavior is related to his or her disability, and if it is determined that it is, they are required to provide support for the disability rather than punish the behavior. Cruz was diagnosed with a developmental delay as a small child. “Because there’s been so much speculation about what [Cruz] may or may not have done, or what the district should have or should not have done, we’ve asked for an independent review by experts in the field to review his entire academic record and his experience within Broward County,” Runcie said. 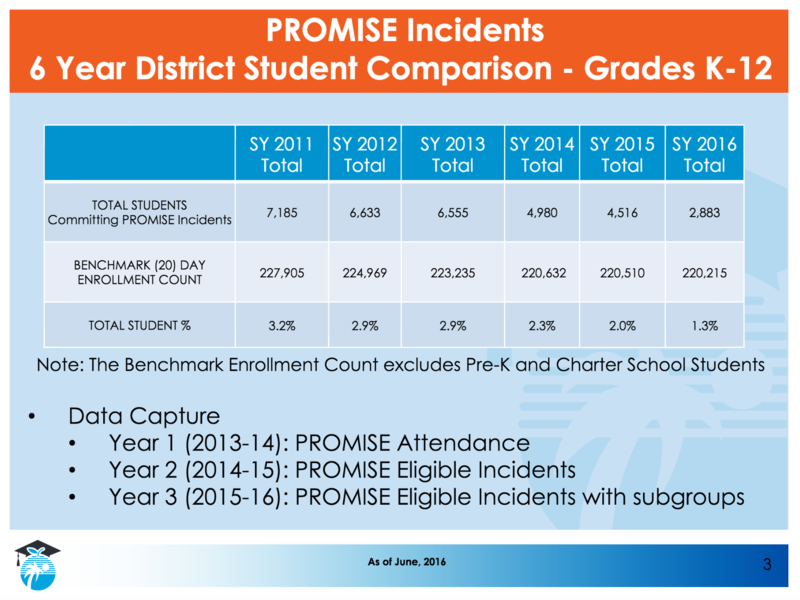 The district is holding an informational forum on PROMISE at 5:30 p.m. tonight at Piper High School in Sunrise. In part at the urging of civil rights groups, Runcie led an effort to reform the district’s discipline policies. Administrators partnered with a variety of entities involved with juvenile justice — including law enforcement, the state attorney’s office, Broward Circuit Court Judge Elijah Williams, the NAACP and a county-based government agency that focuses on children’s affairs. The group consulted with another judge who had seen some success dealing with similar problems in Georgia. The committee met for a year with the stated purpose of eliminating the “school-to-prison pipeline.” The result was PROMISE — an acronym that stands for Preventing Recidivism through Opportunities, Mentoring, Interventions, Supports and Education. It launched in 2013. 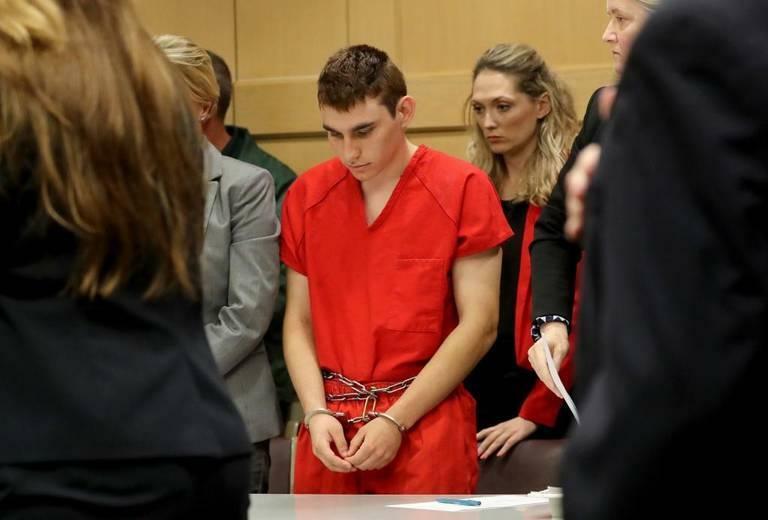 “The intention behind it was very clearly to find a way to impose consequences for bad behavior that wasn't too serious and didn't pose a threat to school safety,” said Maria Schneider, assistant state attorney in charge of the Juvenile Division in Broward and a member of the committee that developed PROMISE. She said the panel aimed to mitigate the damage that a possible criminal record could do to a young person later in life when applying for college or jobs. 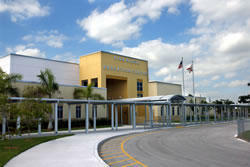 PROMISE is housed at Pine Ridge Education Center in Fort Lauderdale. Under the program, students who commit one of 13 eligible misdemeanors at school are eligible to spend from three to 10 days in the PROMISE program at Pine Ridge Education Center. Some of those infractions are petty theft under $300, trespassing, vandalism, possession or sale of alcohol or marijuana, bullying, harassment, fighting or assault that doesn’t result in an injury. Runcie has said about 1,600 to 2,000 students participate in PROMISE each year. For the most part, school administrators try to handle the behavior concerns without involving law enforcement. But police are consulted under some circumstances; for example, when a student is caught with marijuana, cops are called to confiscate it. Those services include therapy and instruction in conflict resolution and anger management. Students who get in trouble with alcohol or drugs can get substance abuse treatment. If teachers determine participants need long-term help they coordinate mental health care with counselors from Nova Southeastern University. The number of students committing the eligible misdemeanors has decreased steadily since the program was put in place, according to data from 2016, which was the most recent information the district would provide. In 2013, the first year, 6,555 students committed infractions that would make them eligible for PROMISE. That’s about 3 percent of the district’s enrollment (excluding pre-kindergarten and charter schools). In 2016, that number dropped to 2,883, about 1.3 percent. Also in 2016, the district found that 87.7 percent of students who went to PROMISE did not commit another infraction upon returning to their regular schools. About 2.5 percent of students commit three or more infractions. “We know it’s successful,” Runcie said. Laura Kolo is a longtime Broward teacher who has worked at PROMISE since its second year and now coordinates special education services for students with disabilities there. She said most students are assigned to the program because of fighting or drug possession. “We see a lot of kids that come to our program that are angry and they don’t know how to deal with it,” Kolo said. Teachers there meet with the students one-and-one and also hold group sessions to try to get to the root cause of the misbehavior. Anthony Borges, a 15-year-old Stoneman Douglas freshman, was the last survivor of the shooting to be released from the hospital. He was shot trying to shield others from bullets and is credited with saving up to 20 people. 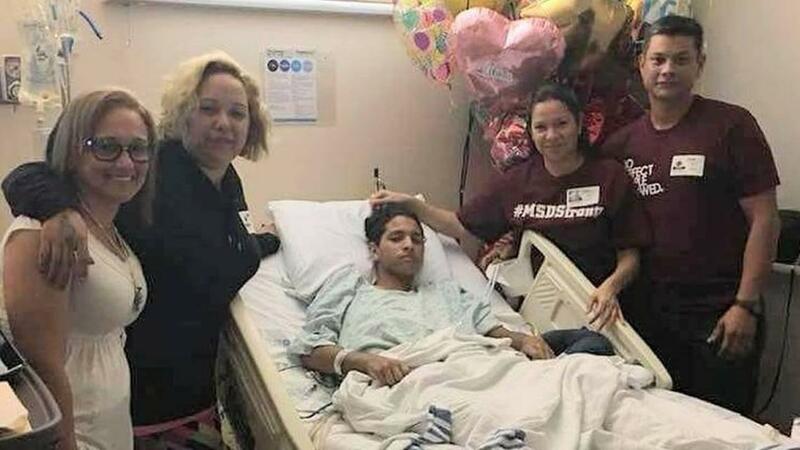 Anthony Borges, with his family, in the hospital after being shot at Stoneman Douglas on Feb. 14. “Anthony took five bullets from an AR-15 — two in his left leg, one in his right leg and two in his torso," said Alex Arreaza, a lawyer who is representing Borges and his family. "At the time, he was probably weighing about 130 pounds. So it's incredible that he even survived, that he's even alive to talk about it," he said. During a press conference on April 6, two days after Borges got home from the hospital, he and his family announced their intentions to sue several individuals and government agencies they argue were negligent in preventing the shooting — the Broward school district among them. Arreaza read a statement on Borges’ behalf, the student’s words directed at Runcie. Borges was referring to PROMISE. Arreaza said later that Borges doesn’t have a problem with PROMISE itself if it’s implemented as intended. But he argued that district administrators sent a message with PROMISE that students shouldn’t be arrested at all, even if they commit more serious crimes. He didn’t cite specific examples but said he is gathering evidence to present in a lawsuit. Runcie has said people are conflating PROMISE with the district’s full range of discipline policies, assuming administrators assign the relatively lenient punishment to students who commit felonies. He said that’s not the case, stressing students who commit serious crimes are arrested and either suspended or expelled from traditional schools. “The narrative out there that we have lawlessness going on in our schools … is absolutely not true,” Runcie said. Borges isn’t the only one who has made this argument. It has come up a lot during a series of public meetings held since the shooting, with teachers, students and parents arguing PROMISE is an example that the district isn't doing enough to punish criminal behavior. And the program has high-profile critics on the right, some of whom have claimed there are connections between PROMISE and the Obama administration. President Obama was supportive of Broward’s PROMISE program and encouraged other school districts to adopt similar policies in federal guidance in 2014. But the program pre-dated Obama’s focus on reforming school discipline. Some have claimed the program was funded with federal dollars through Obama’s signature Race To The Top competitive grant program. Broward officials said the program is funded completely with the district’s own funds, not including any federal funding, but did not provide a detailed breakdown of the program’s budget or its overall annual cost upon request. Runcie previously worked in Chicago’s public schools under Arne Duncan, who later served as Obama’s secretary of education — a relationship some have highlighted when claiming the former president was behind the PROMISE program’s creation. Florida U.S. Sen. Marco Rubio has targeted the program. Rubio's office declined a request for an interview. Recently, Ingraham lost half of her show's advertisers after mocking Stoneman Douglas senior and gun control activist David Hogg on Twitter. Runcie has said he won’t let politics affect the effort to reform discipline policies. Schneider, from the state attorney’s office, said she thinks people have assailed PROMISE in the aftermath of the shooting at Stoneman Douglas because they are frustrated and want answers. “I think that all of us want to know why. Could this have been stopped? Could it have been prevented if something had been done differently? Would we not have ended up with 17 beautiful lives lost?” she said. While there’s been plenty of harsh words about PROMISE at public meetings since the shooting, there’s also evidence of community support. 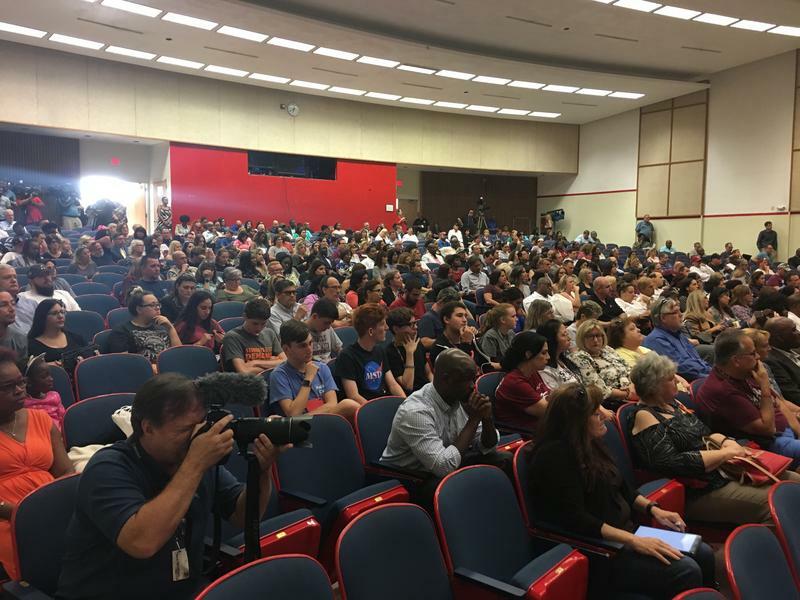 At a school safety forum hosted by the district last month, a junior at J.P. Taravella High School in Coral Springs told the crowd that he went to PROMISE for six days after getting caught at school with a quarter ounce of marijuana. Another student who completed the program said it is the reason she’s now considering a career in the military or studying medicine in college. Her name is Ashley. She didn’t want her last name to be included in this article because she doesn’t want the trouble she got into when she was younger to follow her after high school. Ashley, now a senior at a Broward County high school, said she went to PROMISE for 10 days when she was a freshman. She didn’t want to get into too much detail about what happened. “My freshman year, I was hanging out with the wrong group of kids. There was peer pressure involved,” she said. “You know, you do things you don't really mean, and simple mistakes, and it just … you're lucky if you get the chance to redeem yourself and try again,” she said. 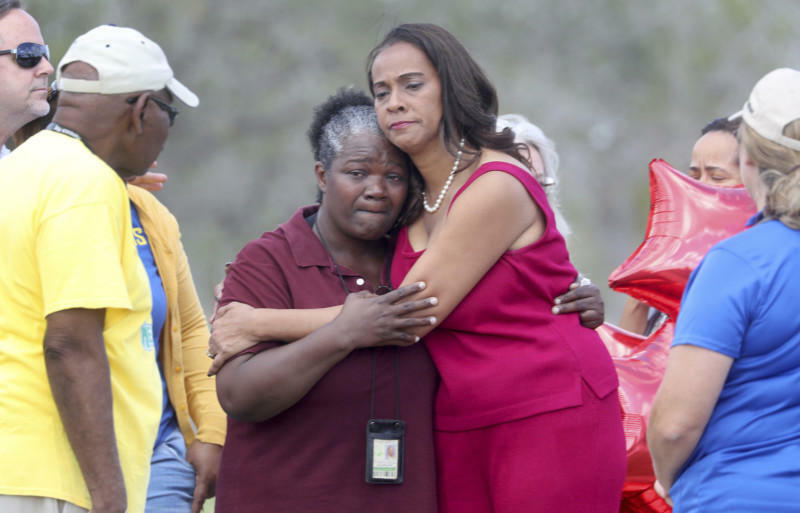 School bus driver Pearlie Corker is hugged by Broward County School Board Member Dr. Rosalind Osgood at Marjory Stoneman Douglas High School on Friday Feb. 23, 2018. Ashley’s mom said it was scary to face the possibility that her child could have been charged criminally for “a big lapse in judgment.” She didn’t want her name included either, for fear it would reveal her daughter’s identity. She said PROMISE helps kids realize they still have a future. Runcie and school board members have vowed to protect PROMISE. “There is no intent to get rid of the PROMISE program,” School Board Member Rosalind Osgood said at a meeting last month. WLRN Broward County reporter Caitie Switalski contributed reporting. 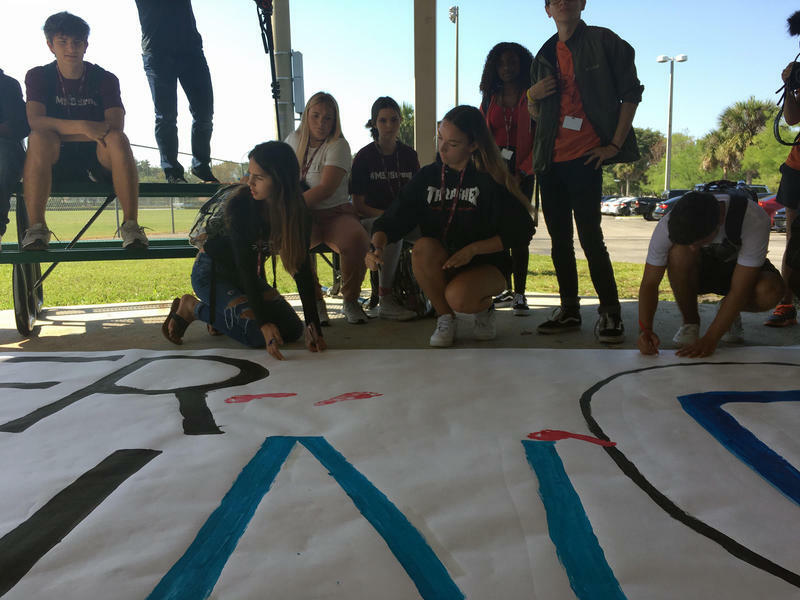 Correction: This story has been updated to reflect the fact that the informational forum on PROMISE will happen 5:30 p.m. on Monday, May 7 at Piper High School in Sunrise. The initial version had 5 pm as the starting time of the meeting.